, these clear braces give our patients life-changing new smiles. Our Concord clear braces provide patients with a better foundation of oral health and put teeth in the position where they need to be. If any extra cosmetic work is needed, we’ve set the stage for best possible outcomes. Instead of using metal brackets and wires to move your teeth and bite into better alignment, Invisalign® uses virtually invisible plastic trays that are molded to fit the shape of your smile. Each tray in your treatment plan shifts teeth closer to ideal alignment. The best part about Invisalign®, for many of our patients, is that the treatment is so discreet – no one will have to know that you’re wearing an orthodontic appliance. The trays are also convenient, as they can be removed to eat, drink, and brush your teeth –making your everyday routine as close to normal as possible. Invisalign® is the ideal alternative to metal braces for patients who are concerned about their appearance while undergoing treatment. Dr. Marshall has treated college-aged and young professional patients who don’t want metal braces to affect their social or work lives, and has also provided clear braces for older adults who don’t wish to have metal orthodontics at their age. Clear braces are a great choice for anyone who wants a straighter smile, but who is hesitant to go through with the inconvenience of traditional metal braces. The average treatment time for most of our patients is about 18 months – which is easy to accomplish when your appliance is comfortable and discreet. See why our Invisalign patients can't stop smiling! To help provide a complete smile boost, our Concord Invisalign® dentist often recommends that patients use a bit of whitening gel in their clear smile aligners. You simply add a small amount of professional whitening gel, provided by our office, to the tray and pop it back into your mouth. 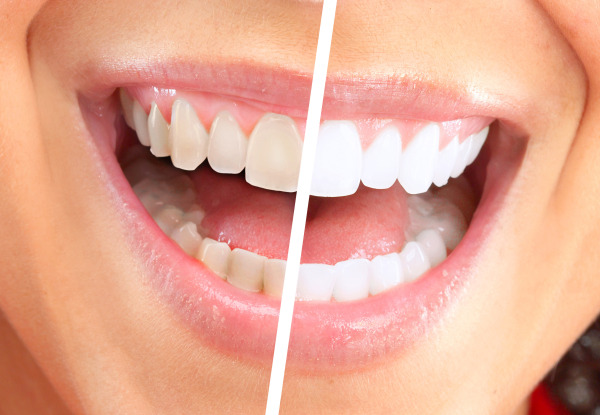 After 20 minutes or so, you can remove the aligner, rinse the remaining whitening gel, and wear the tray as you normally would. This process can be repeated several times throughout the course of a few weeks for exceptional results. This treatment provides the experience of a custom at-home whitening kit, without the hassle of extra impressions. Our patients love finishing treatment and seeing a smile that is both well-aligned and bright white. We love giving patients healthy, beautiful smiles they can feel good about. For more information about whether clear braces are right for you, contact our Concord dentist for your consultation.